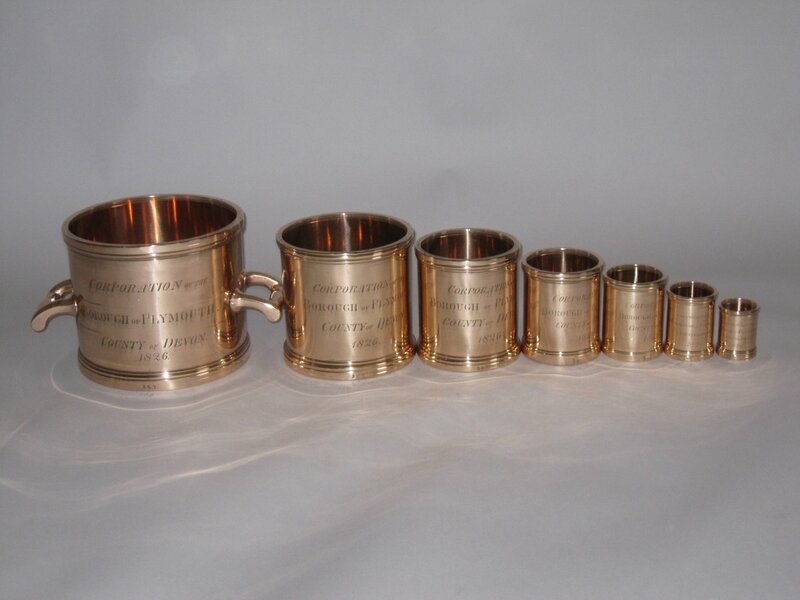 A SET OF SEVEN IMPERIAL BRASS ALLOY MEASURES FOR THE CORPORATION OF THE BOROUGH OF PLYMOUTH, COUNTY OF DEVON 1826. Comprising: Imperial Gallon, Imperial Half Gallon, Imperial Quart, Imperial Pint, Imperial Half Pint, Imperial Gill, Imperial Half Gill. Set No: 147. Stamped Verification Marks.